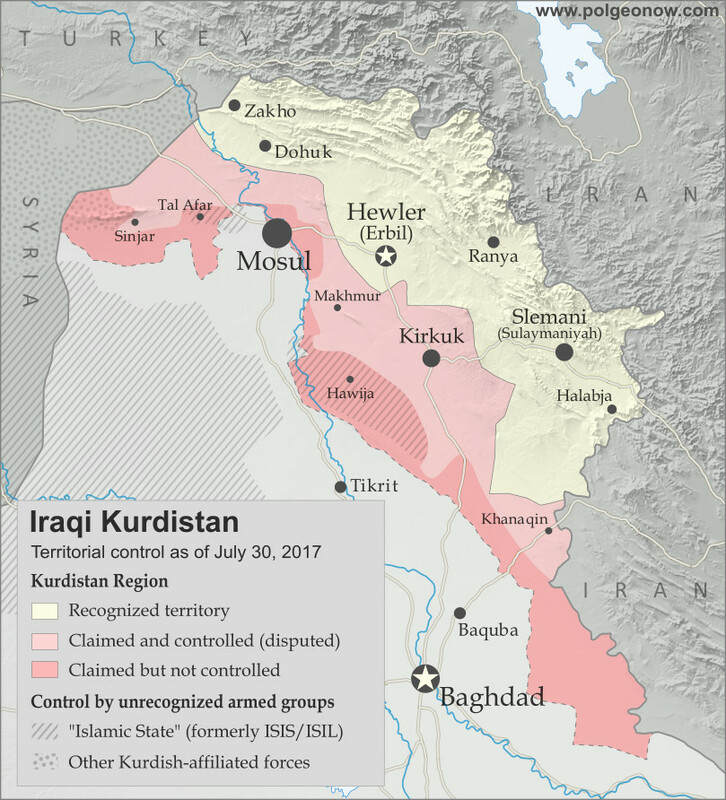 Despite angry objections from Iraq's federal government in Baghdad, as well as from neighboring countries Iran, Turkey, and Syria, the Kurdistan Regional Government (KRG) is going through with an independence vote this Monday, September 25. A "yes" vote in the referendum - which is almost guaranteed - doesn't mean Kurdistan will immediately declare independence. But it will be seen as a serious step toward the region separating itself from Iraq once and for all. Making matters more tense, the referendum is happening even in areas that Iraq's federal government doesn't consider part of the autonomous region at all - Kurdistan has claimed these territories for years, and its military took over some of them after being cut off from the rest of Iraq by the so-called "Islamic State" (ISIS/ISIL) in 2014. But there's not much Baghdad can do about it. The past three years have proven Kurdistan's military to more effective than Iraq's own, and after being left to fend for itself so long, the region is practically independent already. Stay tuned to PolGeoNow for continuing coverage of both the Kurdistan and Catalonia referendums, and don't forget to follow us on Twitter for more updates as events unfold!